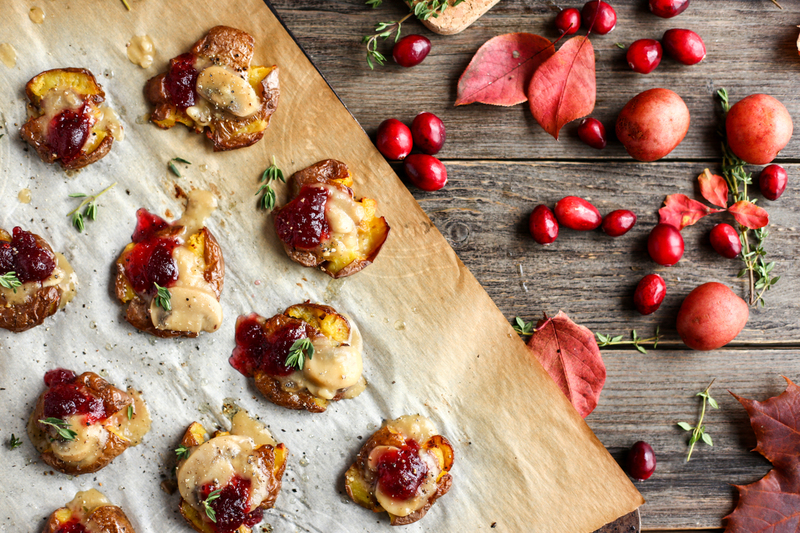 Crispy smashed Creamer potatoes topped with savory mushroom gravy and a touch of tangy-sweet cranberry sauce. For the Smashed Potatoes, preheat oven to 450°F. Cover potatoes with water in a pot. Bring to a boil, then reduce heat to a simmer. Cook for 15 minutes or until the largest potato feels tender in the center (when poked with a fork). Line a baking sheet with parchment paper. Smash each potato with a large pancake flipper so each potato is about 1/2-inch thick. Brush both sides with olive oil and sprinkle with a generous amount of salt. Bake for 20 minutes or until potatoes are crisp and golden. 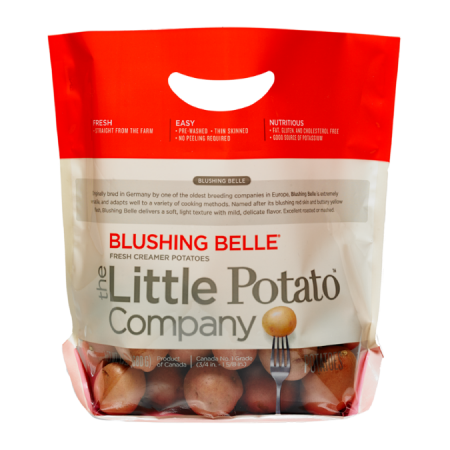 Top each potato with 1/2 tablespoon mushroom gravy, 1/2 teaspoon cranberry sauce, a sprinkle of fresh thyme, and black pepper. Serve immediately. In a medium saucepan, heat oil over medium heat. Sauté onion and garlic for one minute before adding the sliced mushrooms. Sauté until vegetables are tender. Add flour, and whisk until mushrooms are coated. Stir often and cook for one minute. Slowly whisk in the vegetable stock, soy sauce, and miso. Bring the gravy to a simmer and cook for three minutes, stirring often. Taste and adjust seasoning.